Whipped cream is naturally gluten free, and once you’ve made homemade whipped cream you’ll never go back to can whipped cream again. If you prefer not to have that greasy texture, then this gluten free recipe is for you. Of course, you may use Cool Wwhip, as it is gluten free. However, you may wish to avoid corn syrup, as this is an ingredient in cool whip. I’ve been making homemade whipped cream for quite awhile, now. It is something I have always preferred. 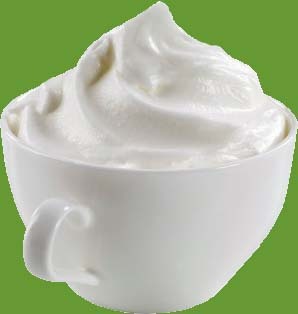 Stay tuned in for my home dairy-free whipped cream recipe! Vanilla chantilly calls for vanilla bean instead of vanilla extract. If you’ve never used fresh vanilla beans before, just slice it down the center of the top skin, not all of the way through. Then, open the bean up and using a paring knife, scrape out the vanilla paste. Use the paste in your recipe when adding the confectioners’ sugar. Homemade sweetened whipped cream is better than any store bought version, as it does not taste greasy and has an unmistakable, natural vanilla flavor. Add all ingredients to the large bowl of your electric mixer. Beat on high speed until soft peaks form. Cover and refrigerate until needed. You may also freeze whipped cream. Do you have a diary Free whipped cream? I have a recipe for cocnut whipped whipped cream, but you have to add a lot of powder sugar to make it stiff, and you need to use just the cream at the top of the cans of coconut milk. Therefore, it takes quite a few cans to make a large amount. If you use too much powdered sugar it ends up tasting like frosting. That’s what I used it for. Here’s the link to the recipe: https://glutenfreerecipebox.com/coconut-whipped-cream-dairy-free/ .